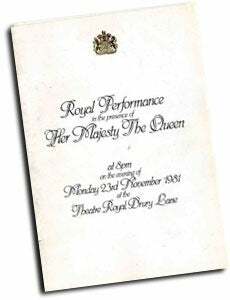 It was back to the Theatre Royal at Drury Lane for the 1981 Royal Variety Performance in front of the Queen. That fine actor Robert Hardy - possibly best known for his part in TV's All Creatures Great And Small - gave the formal welcoming speech. The evening was peppered with surprises, not least when Are You Being Served? TV star John Inman found his 'customer' was none other that the lovable British boxing champ Henry Cooper. And astronomer Patrick Moore popped up to play, of all things the xylophone. The show was knitted together with his usual style by Dickie Henderson. A new star was born in comedian Lenny Henry, by now a major TV performer in great demand. Pop music 'buff' (and lyricist) Tim Rice introduced '25 years of British Pop' with the likes of Marty Wilde, Acker Bilk, Lulu, Adam and the Ants and Donovan. 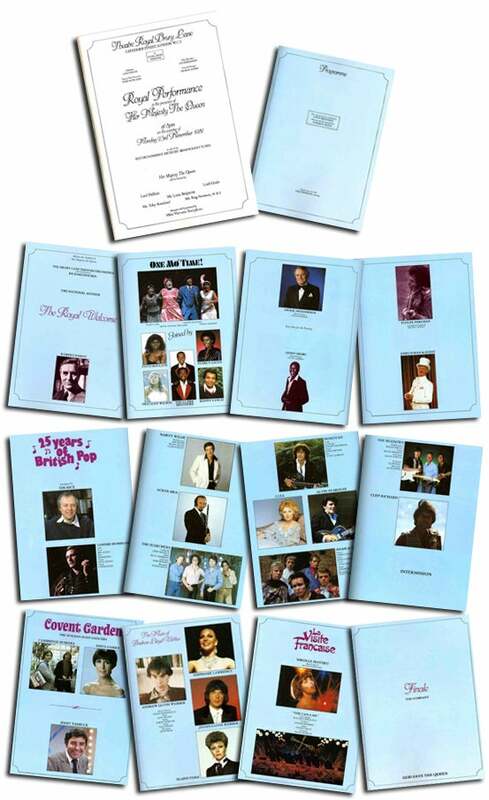 And Tim Rice's partner on many hit musicals was featured in another slot - 'the music of Andrew Lloyd Webber' with the composer himself, his brother Julian on the cello and Elaine Paige. A French finale came with the marvelous Mireille Mathieu and, of course, the gorgeous Can-Can girls. The organisers also set out with the aim of raising the best part of £200,000 for the charity from the night's show. In the end the figure was £209,000, slightly more than double the return from the show of only two years earlier. There was almost what amounted to a royal exchange surrounding the appearance of the dancers from Paris. Earlier in the year Princess Anne had been invited as guest of honour at the new Moulin Rouge revue. 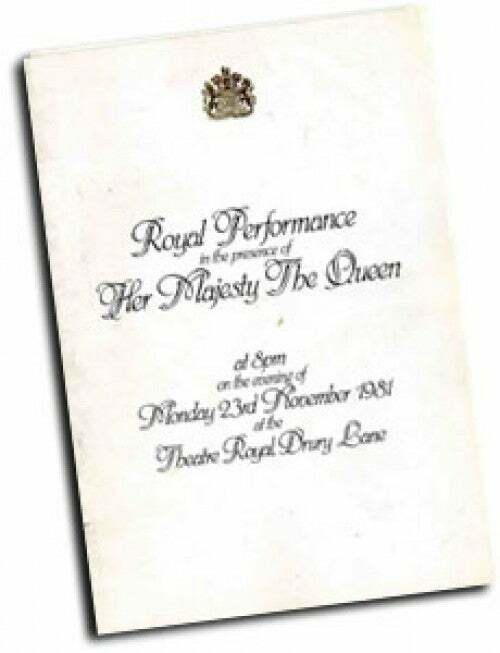 When it came to planning the Royal Variety Performance, Louis Benjamin invited the Bluebells Girls to take part in the show and for the first time this century, the Moulin Rouge was closed, so that they could appear that night on the Royal Variety. Although one of the most quintessentially French institutions, seven of the sixteen dancers in the Bal Du Moulin Rouge were English!